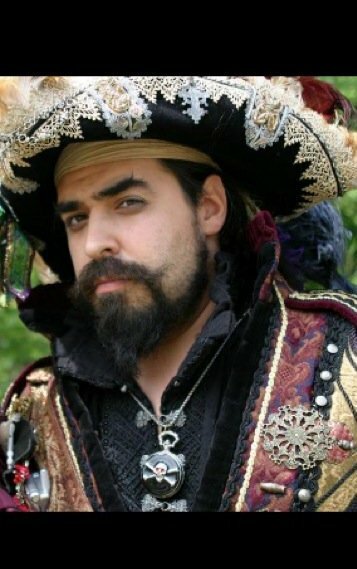 Commodore Armando De La Garza runs the port of Saman under the guise of a wealthy olive oil merchant. If asked he will gladly explain that in his youth he was rash and perhaps a bit mischievous and did not follow all the rules of the law to the very letter, though now as an older, wiser (and handsome) man, he is a legitimate business owner and deals in the export of the highest quality Minosian olive oil from his own olive orchards on Saman. He would certainly know nothing of rumors of smuggling from his ports, and the idea of Saman being considered neutral territory for talks among the Commodores or even the various Captains of questionable repute would make him chuckle. His response to such an accusation? "Saman is a beautiful little island and why wouldn't everyone want to visit?" It is said that Mina De La Silva is his neice, though no blood ties can be traced.